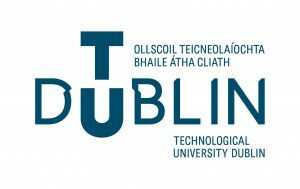 Technological University Dublin (TU Dublin) is a distinguished higher education institution founded in 1887 and ranked among the top 3% universities of the world. The TU Dublin College of Business is the largest and one of the most innovative providers of Business education in Ireland offering undergraduate, Masters and Doctoral degrees to students and professionals from around the globe. It combines the academic excellence of a traditional university with professional, career-oriented learning based on a rigorous process of discovery and critical enquiry preparing graduates for productive leadership and entrepreneurial future roles. Pharos University in Alexandria (PUA) is the first private university in the North of Egypt and an internationally-accredited academic partner of TU Dublin. The programme is specifically aimed at non-business graduates who wish to develop and focus their career trajectory in the business domain where the tenets of marketing are recognised as the drivers of business success. So whether your undergraduate degree is in Science, Engineering, Social Sciences, or Arts, this programme is for you. Graduates of the programme are in high demand from Marketing, Media, and general business enterprises. Demonstrate an advanced knowledge of the theory and practice of marketing, both in the context of the functional area and in regard to the integration of marketing with the other core functions of the business. Understand the role of marketing management in overall corporate strategy, and be able to apply tools and techniques to enable effective decision-making at the board level. Develop marketing plans and programmes, and integrate them with other functions. Use leadership skills and team working to develop synergies and enhance sources of competitive advantage. Assimilate and interpret numerical information in the form of statistical and financial, data, and apply analytical skills to research, critique, and evaluate solutions to marketing challenges. Be strong and confident communicators with a range of presentation skills and an awareness of the cultural aspects of communication. The Postgraduate Diploma in Marketing is conducted over two semesters. Each semester consists of a total of 15 weeks including teaching, self-directed study, and examinations. Semester One offers the student a broad foundation in business disciplines as well as introducing students to contemporary issues in Marketing. It includes fundamental business modules such as Management, Marketing, Finance and Marketing Communications. Such accelerated learning is designed to give you the conceptual tools needed to analyse business situations and to undertake business planning. Semester Two builds on Semester One where students develop a more strategic approach to business through an emphasis on case-based learning, participation in decision-making simulations, and extensive exposure to analytics. You will engage more closely with specialist marketing modules such as Marketing Metrics, Strategic Management and Digital Marketing. The programme will be delivered by Doctorally-qualified marketing and business studies staff at PUA, mentored and supported by TU Dublin staff and management. The medium of delivery and assessment of the programme is English. The team will be supplemented as appropriate by industry speakers and international academic guest lecturers. A diverse range of teaching and learning strategies will be employed throughout the programme including lectures, guest lectures, case studies, group work, presentations, discussion, decision-making simulations, laboratory sessions for analytics, as well as in-depth reading and other forms of self-directed learning. Students will have access to both the library of PUA and the comprehensive online resources of the TU Dublin library. The programme accepts holders of Bachelor’s degrees in any discipline. Candidates must demonstrate proficiency in spoken and written English. Graduates are eligible for the Award of Postgraduate Diploma in Marketing from the Dublin Institute of Technology (TU Dublin), Ireland. Address: Pharos University, Canal El Mahmoudia Street, Smouha, Alexandria, Egypt. The programme is aimed at individuals from different backgrounds who wish to pursue a career in Retailing. Students who complete the programme will have a rigorous conceptual framework and a systematic knowledge and understanding of the issues that are at the forefront of Retail Management theory and practice today. Successful students will be qualified to enter Retail Management and broader management roles and will understand the diverse nature of demands from consumers, regulators, and suppliers that must be managed effectively and efficiently. Graduates of the programme will be in high demand from both indigenous and multinational organisations offering retail services to their customers. Demonstrate an advanced and comprehensive knowledge of the theory and practice of contemporary retail management internationally and of the major trends, which are shaping traditional and online retailing in Egypt and internationally. Understand the role of retail management in overall corporate strategy, and be able to apply techniques to enable effective decision-making at the board level. Prepare strategic plans and implementation programmes for individual retail operations and for retail groups. Have a specialist expertise in the core domains and the optional study areas chosen. Assimilate and interpret numerical information in the form of statistical and financial, data, and apply analytical skills to research, critique, and evaluate solutions to retail challenges. Be fully conversant with the range of tools and their application in the areas of e-commerce, retail store design and layout, retail merchandising, marketing communications, buyer behaviour, sales and marketing planning. Become strong and confident communicators with a range of presentation skills and an awareness of the cultural aspects of communication. The Postgraduate Diploma in Retail Management is conducted over two semesters. Each semester consists of a total of 15 weeks including teaching, self-directed study, and examinations. Semester One has a number of foundation elements, including Corporate Finance and Managerial Thinking & Decision-Making to orient graduates who have not experienced business studies previously with the fundamental concepts in the field. The module Contemporary Issues in Retailing will give a broad introduction to current challenges in Retail Management, and the Fashion Buying & Marketing module introduces the group to this crucial internationally-focused sector. Students will also have the opportunity to choose an elective in International Retailing or Store Environment. Semester Two empowers students to consolidate the knowledge gained in Semester One. They develop a more strategic approach to business through the study of core disciplines, an emphasis on case-based learning, and extensive exposure to the analytics laboratory. Modules on Global Supply Chain Management and Retail Location/GIS provide deep engagement with specialist topics and modules on Retail Strategic Management and Predictive Retail Analytics provide a strategic focus and the tools to inform strategic decision-making. A unique feature of the programme is the Retail Study Tour Week, a module grounded in field work where students will engage in study visits to major retailers operating in Egypt. A mixture of Block Delivery and semester-long teaching is employed. Block Delivery allows for condensed delivery of a single module in three days to accommodate professional learners’ busy schedules. 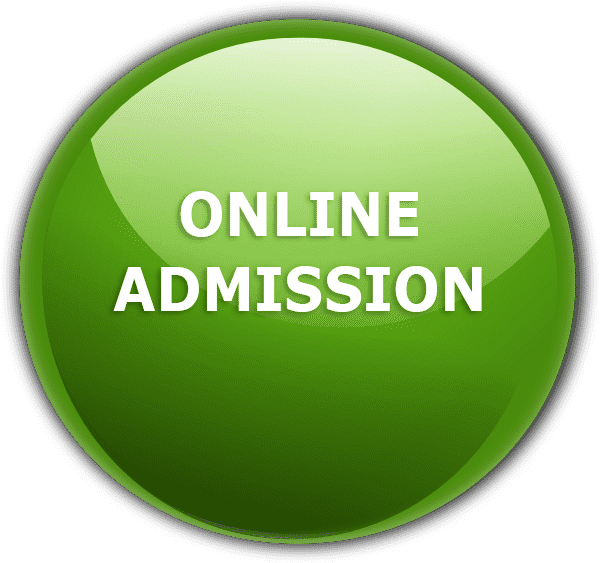 Graduates are eligible for the Award of Postgraduate Diploma in Retail Management from the Dublin Institute of Technology (TU Dublin), Ireland.